Are Dark Toned Bridal Lehengas the Newest Trend in Wedding Wear? 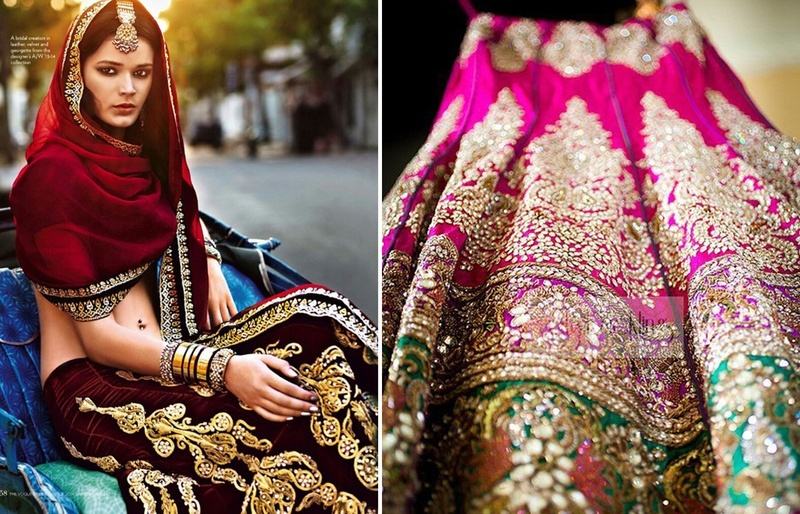 3 things every girl looks for in a bridal lehenga. We believe wedding wear inspiration for brides all across the spectrum lies in all kinds of nooks and corners. Whether it’s from a multi-designer store like AZA, the tiniest home designer or the the biggest trends from fashion week – inspiration lies everywhere! While we continuously swoon over the blush pinks and golds for weddings, the darker shades in bridal lehenga designs have caught our attention real quick! Regal emerald greens, dark navys and royal maroons seem to be the newest trend in wedding and bridal lehenga designs. And we’ve amalgamated it all here. Whichever it might be, the charm a bridal lehenga carries with itself is truly mesmerizing – so why not give the darker shades a go? Circular motifs on a burgundy base is absolute beauty! Deep red and gold – flowy and fab! Emerald green and gold gorgeousness! Brown and gold is always a killer combination! Pastel brown net lehenga – completely loving the trail on this lehenga! Navy and gold can never do you wrong!